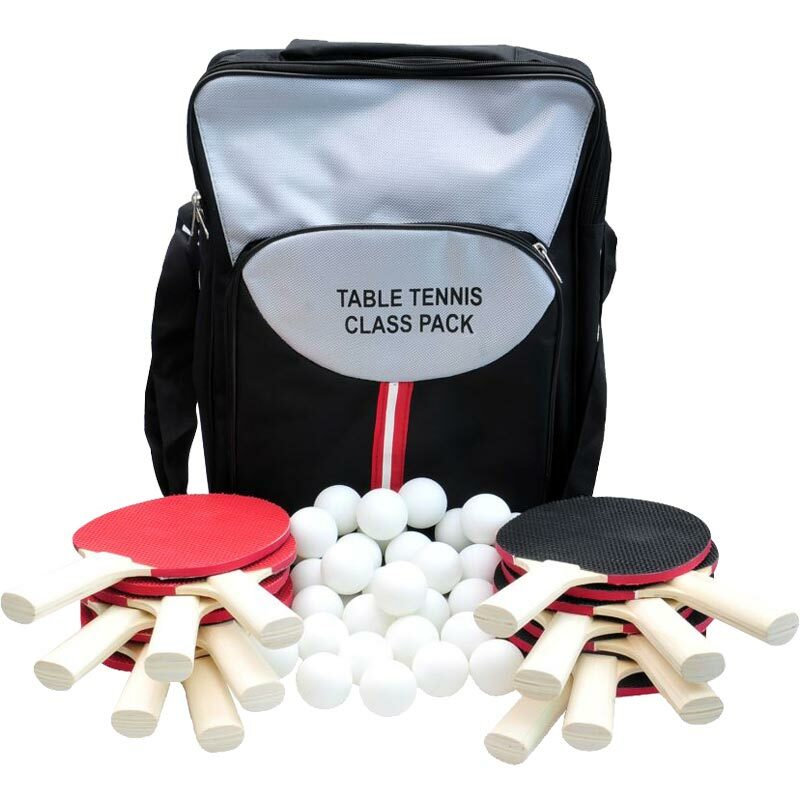 The Schildkrot ® Table Tennis Class Pack contains equipment for 14 children to enjoy a game of table tennis. 14 pimpled out table tennis bats. Strong 5 ply blade with straight plain wooden handles. Red and black pimpled out rubber without sponge. 30 quality practice table tennis balls. All contained in a class pack holdall.